This study quoted in Scientific American raises some interesting considerations for online "friending" behaviours - it would be a valuable extension to this research to determine if similar factors applied to social networks! "The ironic finding is that in more diverse environments, we find less diverse friendships," says social psychologist Angela Bahns of Wellesley College in Massachusetts, lead author of the study. She compared students at large and small college campuses to see how their social environments shaped their friendship choices. Although you might expect people who go to a large, varied campus to spend time with a more diverse group of people, in fact it just allows them to be more exclusive, Bahns says. "If you live in a world where there's not much choice, you're going have to settle for people who are not as similar as you," says co-author Chris Crandall, a psychologist at the University of Kansas (K.U.) in Lawrence. "But you can be perfectly happy with friends who aren't that similar." As the Agenda for the first Dachis Group Social Business Summit in Sydney is being finalised, we thought a snapshot, sneak preview from some of our speakers may provide some insights into the nature of conversations that will be occurring on the day! What is social business design? Why does this concept matter? Spiced with examples and experiences, Peter’s presentation will be the focal point of reference throughout the Summit. Why is government interested in social innovation? How does connection make social innovation more effective? What does all of that have to do with the “resilient state”? will look at who is moving the needle and expanding the notion of how important social business can (and should) be to the bottom line of all organisations. Culture as a competitive advantage in modern organisations. For more information visit the Social Business Summit website. Attendance is by invitation only – have registered yet? Early bird rates close this Friday, 18th Feb ! Click here to register for an invitation. Employers that take disciplinary action against an employee for posting damaging or inappropriate comments on social media sites such as Facebook can face legal - and potentially costly - ramifications if they do so without following basic workplace laws and procedures. According to Jenny Inness, senior associate at Harmers Workplace Lawyers, employers should first consider whether the employee's conduct is sufficiently connected to the employment relationship before taking action in response to erring employees in the digital sphere. Inness said that an employer's right to take action for 'after hours' conduct has always been a complex issue. "It's a tricky balance between an employee's right to privacy and an employer's right to protect its organisation," she said. She added that an employer is permitted to take action against an employee (including dismissal) because of their 'after hours' (or 'private') activities if the conduct is connected with the relationship of employment and has serious enough implications for the employer. The issue that isn't raised in this article is the monitoring of employees social media activity by employers - when does this cross the line? 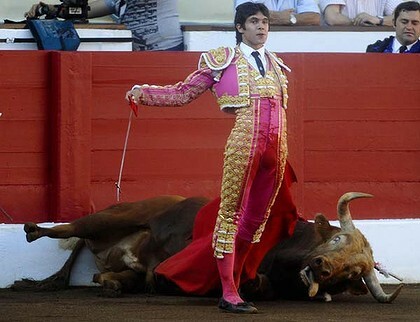 BARCELONA: Catalonia's parliament has voted to ban bullfighting in the first such prohibition in mainland Spain. Regional legislators voted 68 to 55 for the ban yesterday on the grounds of cruelty, the speaker of the assembly said. The vote on abolishing bullfights in the north-eastern autonomous region follows an intense campaign by animal rights activists to end an ''outdated and cruel'' part of Spanish culture. Catalan nationalists also seized on it as a means of expressing independence from Madrid at a time of growing political unease between the regional and national governments. The regional government was moved to propose the vote after 180,000 Catalan citizens signed a petition circulated by Prou! (Enough! ), an anti-bullfight group. Interest in Spain's ''national fiesta'' has waned in the region and dozens of local councils, including Barcelona's, have declared in the past few years that they are officially ''anti-bullfighting''. The Plaza de Toros Monumental, the last of Barcelona's three bullrings to still stage ''corridas'', struggles to fill a third of its 19,000 seats and often attracts more tourists than locals. The ban, which will be introduced from 2012, was preceded by furious debate. In an editorial, the centre-right daily newspaper El Mundo expressed a sentiment echoed in much of Spain - that the move had little to do with animal cruelty but had become a ''political issue'' in a region where the ''idea is to ban everything that is Spanish''. Now - come on - let's see this ban extended across the rest of Spain! It's cruel, it's barbaric and does not represent the culture of the modern Spain! No-one should subject an animal to this much torture and making it a spectator sport is just too ghastly.